Tyra Banks is smizing her way to the America's Got Talent stage. E! News has learned the veteran supermodel and former America's Next Top Model host will emcee the upcoming twelfth season of America's Got Talent. Tyra replaces Nick Cannon, who hosted the NBC competition series for eight seasons between 2009-2016. In a press release obtained by E! News, Tyra shared, "Since I was a little girl, I've been obsessed with grandiose acts and performers who make the seemingly impossible possible. I love how AGT brings that feeling into everyone's home, capturing the best of people who come out and give it their all to make those big, fierce and outrageous dreams come true." "I look forward to connecting with the dreamers, having fun and giving hugs and words of encouragement when needed. And maybe I'll get one or two performers to smize for the audience!" AGT host Howie Mandel also shared the casting update to social media on Sunday. Tyra herself echoed his excitement, tweeting, "Surprise! 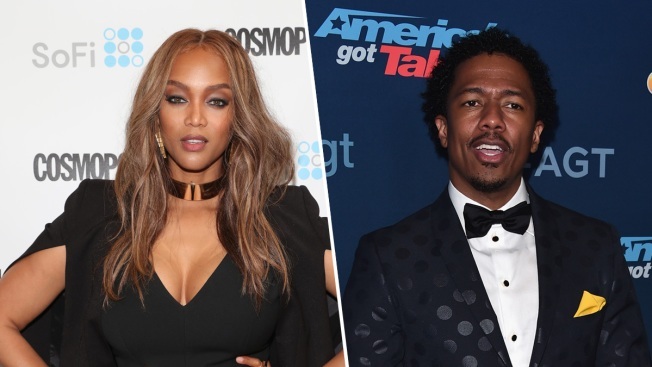 TyTy is the new host of #AGT @nbcagt! Can't wait 2work w/new fam @OfficialMelB @howiemandel @heidiklum &@SimonCowell"
Mandel, Mel B, Heidi Klum and Simon Cowell will also return to America's Got Talent as judges. Cannon reportedly quit the series earlier this year. Expect Tyra to make her AGT debut when the upcoming season hits television sometime this summer. Are you excited for Ms. Banks to return to the hosting world? Sound off in the comments! E! News and NBC are both part of the NBCUniversal family.